Frequent Pincus Professional Education immigration speaker, Carl Shusterman of the Law Offices of Carl Shusterman, has recently published a blog clarifying President Trump’s latest executive order on Immigration. Read more here. The following is a guest post from frequent Pincus Professional Education speaker Carl Shusterman. Carl has spoken at many of our California immigration programs including Asylum Law, Immigration 101 and our upcoming Visas 101. He has over forty years of immigration experience and served as an attorney for the Immigration and Naturalization Service (INS) until 1982 when he entered private practice. You can read the original post here. In the December 2016 issue of our newsletter, we summarized the new 366-page DHS regulation regarding employment-based immigration which will become effective on January 17, 2017. In this article, we focus on the portion of the regulation which allows certain persons to obtain temporary automatic extensions of their Employment Authorization Documents (EADs). Under the new regulations, the USCIS will no longer be required to adjudicate requests for EADs within 90 days. However, persons with existing EADs will be able to apply for extensions of their work permits 180 days (up from 120 days) before they expire. Aliens who are the principal beneficiaries or qualified children of approved VAWA self-petitioners. The rule does nothing to assist first-time applicants for EADs, nor does it permit automatic extensions of Advance Parole. 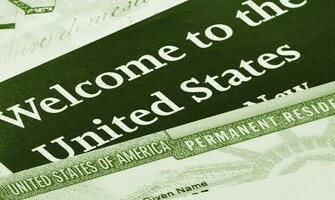 Many persons, such as spouses of nonimmigrants (L-2s, H-4s, etc.) are ineligible for automatic extensions of their EADs. The automatic EAD extension portion of the regulation is more complicated than this summary of the rule would indicate. Small employers without the resources to regularly check the USCIS website or consult with immigration lawyers may find it burdensome to comply with the I-9 requirements that this rule will entail. It is recommended that persons with EADs should submit applications for extensions of their EADs and Advance Paroles 180 days before the expiration date to protect their ability to work and travel without interruption. Doing so will also aid their employers.